The Adjutant General & Senior Colonel Commandant AAD, Lt. Gen. Ashwani Kumar paying tributes at the Amar Jawan Jyoti, India Gate, on the occasion of the 26th Raising Day of Army Air Defence, in New Delhi on January 10, 2019. Army Air Defence Corps celebrated the Silver Jubilee of its raising on 10 Jan 2019. 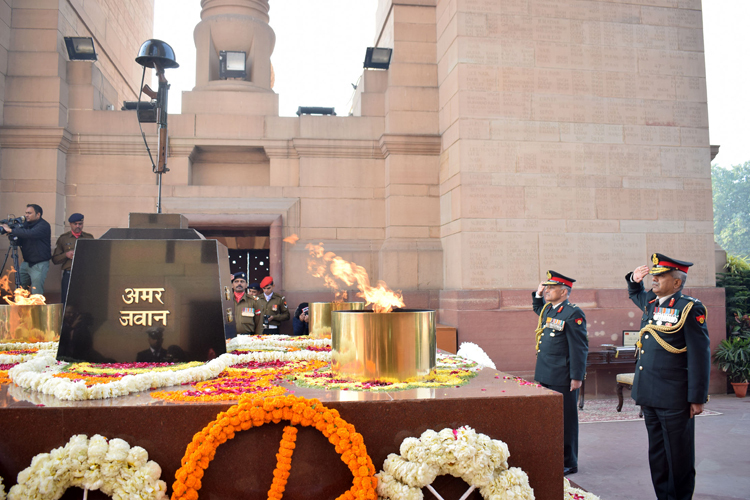 To mark the occasion, a Wreath Laying Ceremony was held at the Amar Jawan Jyoti at India Gate, New Delhi. Ceremonial Wreaths were laid by Lieutenant General Ashwani Kumar, Adjutant General and Lieutenant General AP Singh Director General and Colonel Commandant Army Air Defence alongwith a host of serving offrs, soldiers and veterans in attendance. The Corps of Army Air Defence is the youngest arm of Indian Army, which has proved its mettle in various wars, counter insurgency operations and nation building tasks. 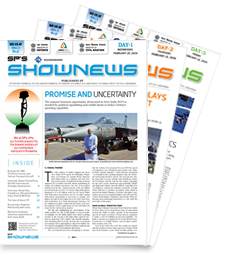 Army Air Defence has dedicated itself to the service of the nation with it's motto of "Akashe Shatrun Jahi" with a film resolve to keep our skies free from the fear of enemy intrusions. The Corps is undergoing a massive modernisation programme to act as a potent force in years to come.